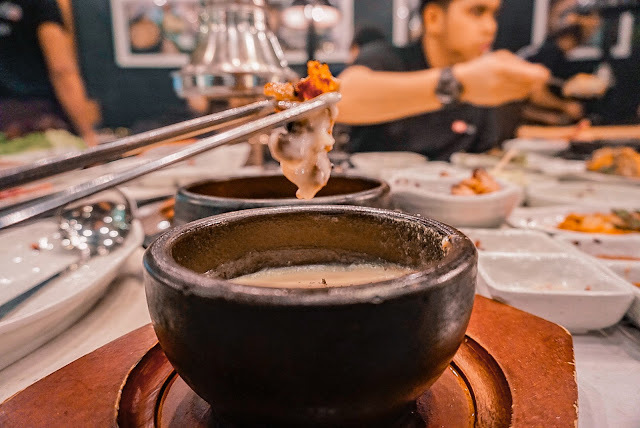 Much about the Korean culture has made a lot of Filipinos go gaga - its boy and girl group of young and talented artists, their music, their heartfelt TV dramas, their delectable food and more. This also has made a lot fly to the country to experience these things first hand. 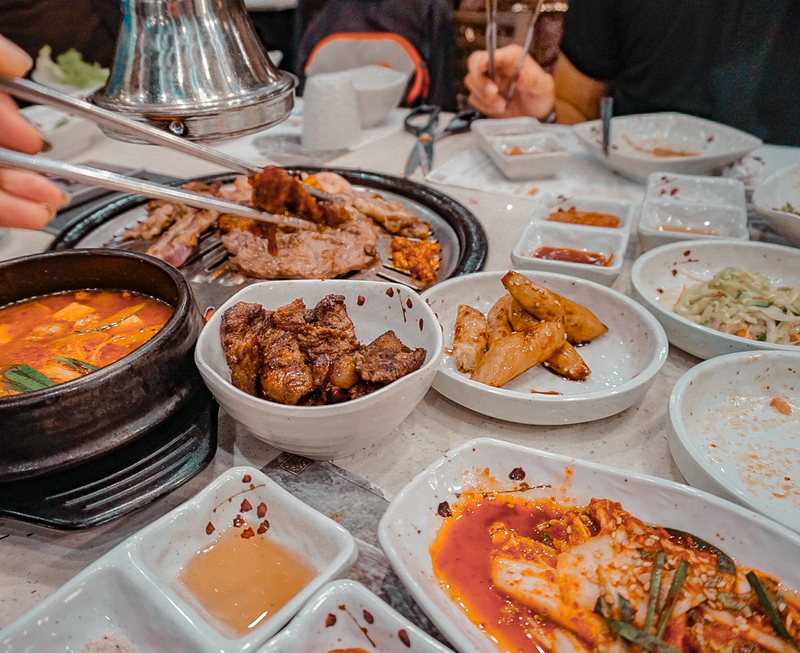 Taking this fad as an opportunity, a lot of Korean restaurants rose in different corners of the Metro. 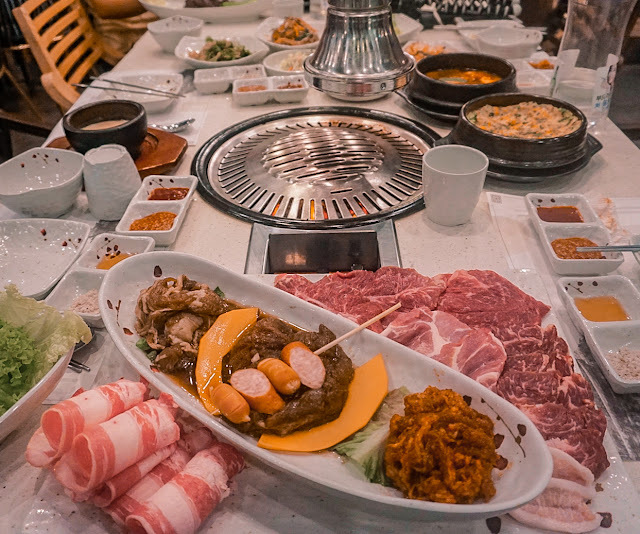 Just then, the words 'samgyupsal', or "unlimited Korean barbecue" is never out of everyone's discourse. It has also become a thing shared by friends and family over good stories and laughter. 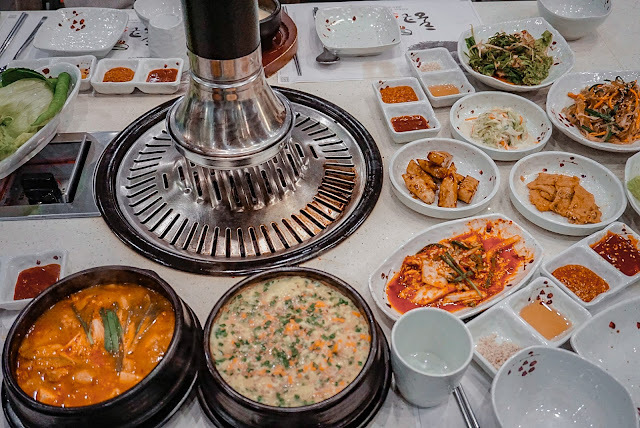 As aforementioned, a lot of Korean restaurants have been established. But, what makes Fantastic Baka worth visiting? Initially, an array of authentic Korean side dishes were laid down on our table. It was overwhelming as there are quite a lot that I would like to try one after the other. They are all visually enticing making us even more famished upon its sight. Well, I was more than surprised that these do not disappoint as each brought new and distinct flavor to my taste buds. Just when I thought that we are having too much food on our table, we were served with a platter of meat - their first set of fantastic beef. 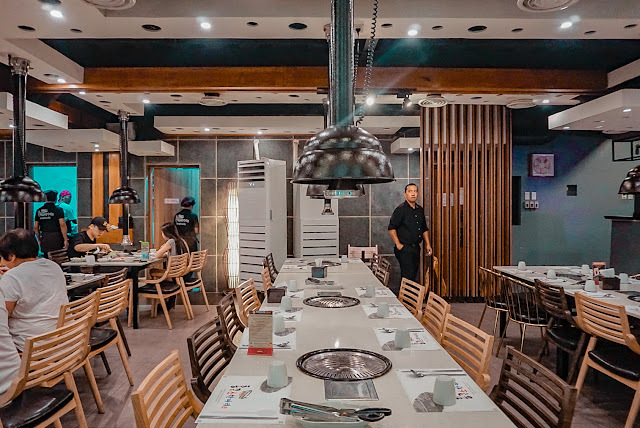 According to the staff, the guests can customize the next set of meal to be served by choosing among the kinds included in their chosen deal. 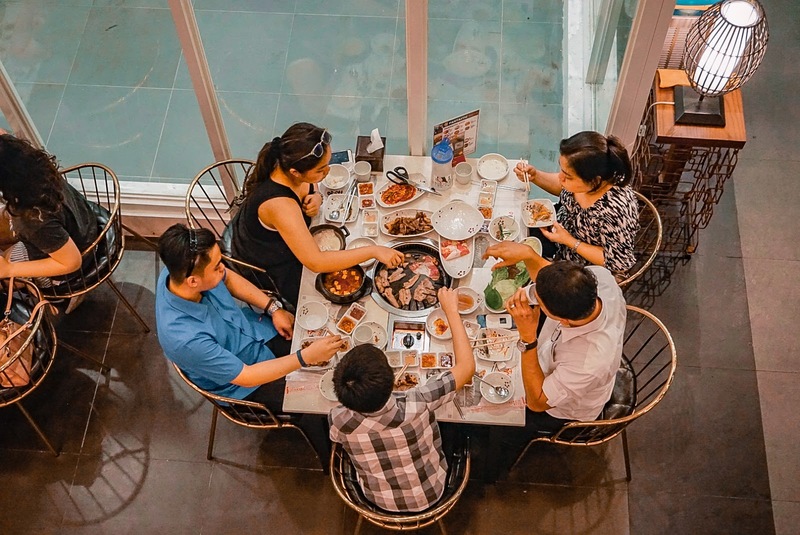 Should the 799php unlimited grill seemed a little too much for you, you can also try their 599 Premium Unlimited promo. For only 599php, you can get to enjoy unlimited Plate (thin rolled beef strips), Seasoned Plate, seasoned beef bulgogi and Spicy beef bulgogi. 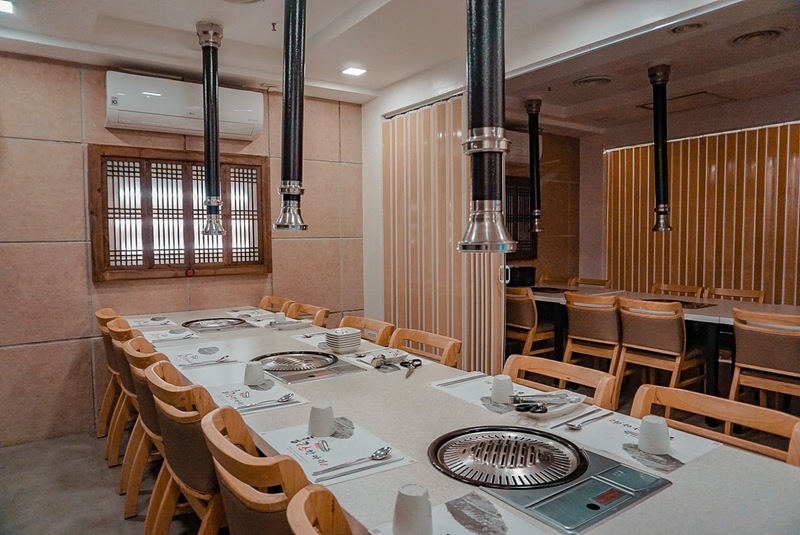 Guests are given two hours to enjoy the grill most especially on weekends. Korean side dishes are also served and could be replenished at your heart's desire. 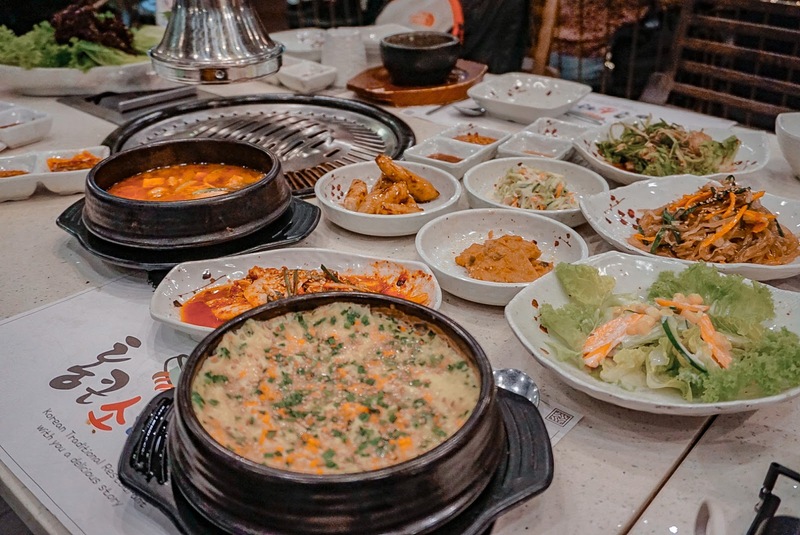 These include Denjang stew, jap-chae, steamed egg, cheese, fresh salad, coleslaw, deep-fried sweet potato, stir-fried fish cake, fresh vegetables, spicy mixed vegetables, kim-chi, 4 kinds of sauces and rice. Drinks are not included in the unlimited deals. They offer alcoholic beverages such as so-ju or their Korean beer, soft drinks and ice cream as well. Apart from the unlimited grill, they also offer special set menu good for three persons and a la carte meals. Kids below three years old are free of charge. 50% discount, on the other hand, is given to the kids aging 4 years old to pre-preschoolers. Food alone isn't the only thing in the restaurant that could make you experience a little of Korea. They also have private rooms on the upper ground of the building with a touch of modern yet classic and minimalist Korean interior. These rooms can accommodate 6, 12, 24, 35 up to 50 persons. 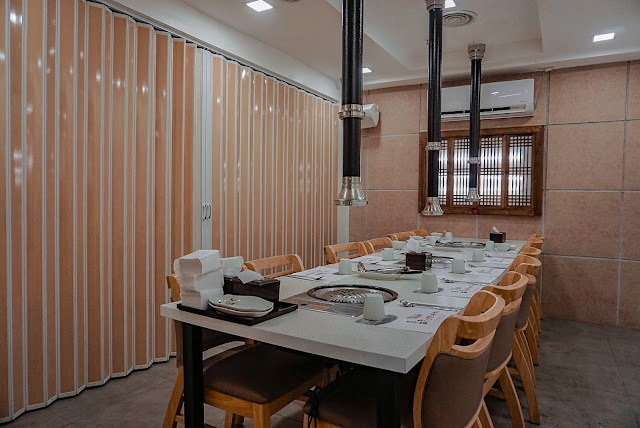 Reservation prior to visit is required most especially for those who would be visiting on weekends and those who would like to use the private/ function rooms. 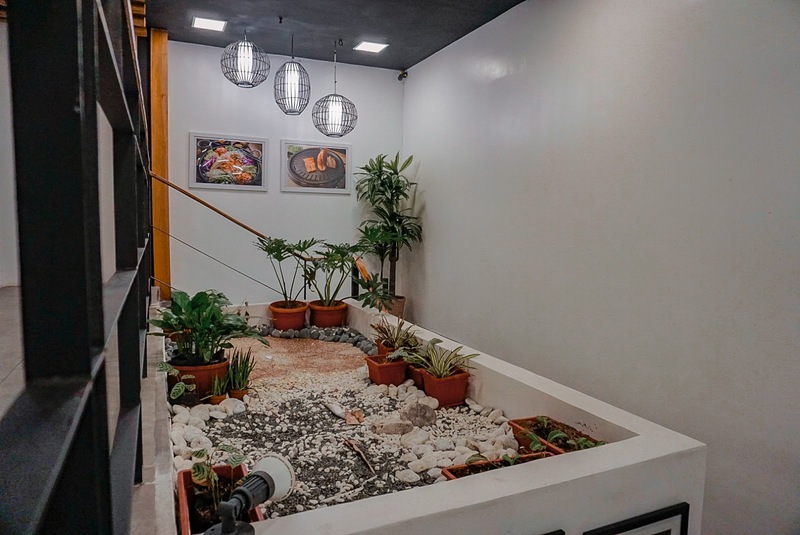 You may call on Ms. Anna at +639158455899 or +639158062296 for reservations. Fantastic Baka Korean Restaurant is located at G/F Grandia bldg. along Mother Ignacia Ave. beside ABS-CBN. From Quezon Avenue (MRT station) you can simply walk or take a grab to the restaurant. 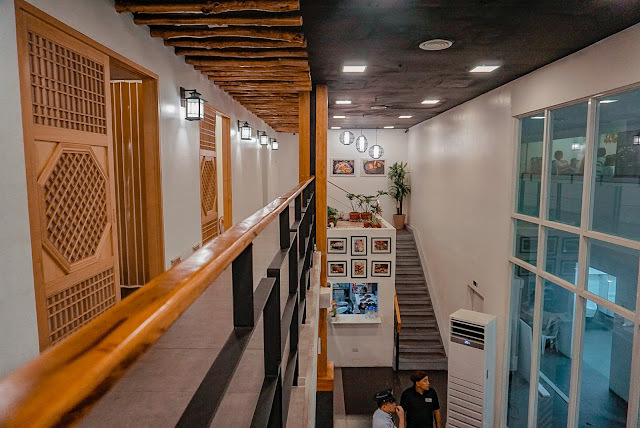 It is open on weekdays (Mondays to Thursdays) from 11:00am to 12:00mn and on weekends (Fridays to Sundays) from 11:00am to 2:00am. For more updates and promos, you may visit their Facebook page Fantastic Baka, Instagram @fantastic_baka and twitter @FantasticBaka. 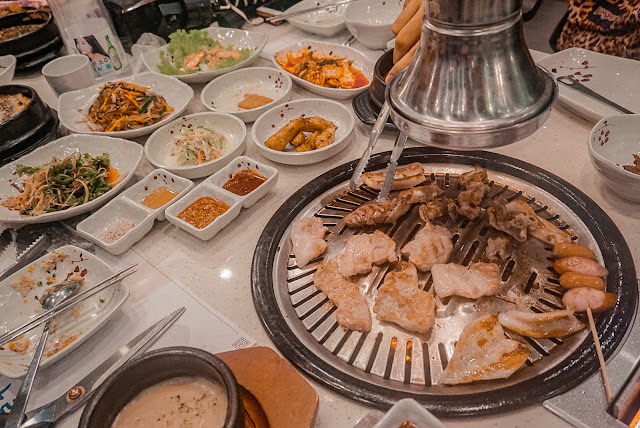 Personally, I enjoyed my Korean gastronomic adventure in Fantastic Baka due to the choices that I have. Plus, they make sure that what they'll serve is nothing but fresh which indeed make the customers keep on coming back for more. Itnmakes me wanna come back too as I could not try everything all in one sitting lol. Tip: make sure that you'll book or reserve prior to your visit if it's on a weekend as they really get full house!